"Something has to happen," said one defense industry source. The Coast Guard has 98 MH-65s in service. While the MH-65 was to originally phase out in 2024-2027, the Coast Guard is also undertaking a service life extension program (SLEP) to prolong the Dolphin's service life. 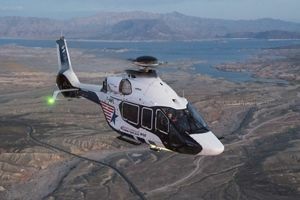 The aircraft has also received avionics upgrades and, since 2007, new Turbomeca Arriel 2C2-CG engines that have added 40 percent more power. Of those, I think the AW139 makes the most sense as it is already being used in those roles. Basically an "off the shelf" option. 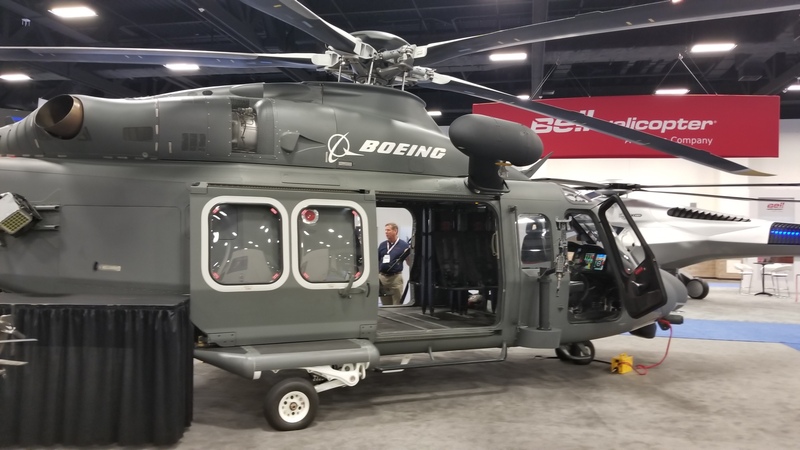 Boeing is already building the MH-139 for the US Army too. An updated version would even be doable for that 2024-2027 timeframe. AW when it tested the AW139 gear box for endurance without oil, it was required to reach 30 min, they stopped the test at 90 minutes. The MH139 would be a great machine that is available in the 2022-2025 time frame if they get the RFP going soon. There are already 900 139's in service. The main issue with the MH-65 has been how small and cramped the interior is; the small cabin size makes it difficult for rescue operators to manipulate gear and patients inside the helicopter. They definitely should be looking at a larger helicopter for the role. The presence of the Defiant among the potential candidates is very intriguing. Much will depend on how the mission requirements are formulated. With Defiant you get speed, which you pay with much much greater mechanical complexity. Speed can save lives in a rescue, obviously, but not all missions are rescues and need that speed. Also, it's going to be interesting to see how strong the downwash from the coaxial rotor ends up being. Certainly stronger than a single main rotor configuration for the same thrust, but off the top of my head I couldn't quantify by how much. SB-1 Defiant, intruiging. It will cost probably 4 times as much to buy and maintain. But it is very fast. In November 1988, on my first trip to the US, we passed Opa Locka Coast Guard base, it might sound incredible now, but we asked if we could visit, showing my BA staff ID, one aviation person to another sort of thing. They said yes and we had an interesting time being shown around a HH-65, as it was designated then. One thing that stuck me was that they were not massively impressed with the aircraft, thinking it too fragile and also not keen on the engine, which as many will know was unique to the USCG. I suggested that the Westland Lynx might have been better! Also on the ramp back then were some of the Falcon 20 USCG variants. Fascinating stuff in a more innocent time. With such lead time, Airbus' high-speed compound helicopter should be an option too. While the Racer may not be the final production version, it is definitely comparable to the SB-1 - a prototype that could be mass produced if demand arises. I second the suggestion of the AW139 as the perfect low-risk, fast-delivered option, especially with Boeing building the Army's version. I agree that the SB>1 would be a great idea as well, but cost and time would seem to be against it. A development of the MH-60 would seem to be low risk but would it be 'modern enough' to compete with the other options? What about the V-280 and any of the Airbus range : I'm not familiar with the 'Racer' mentioned up thread. I guess that the S-92 would be too big? How about the AgustaWestland AW101 ? They probably need smaller sized chopper as they have the capability to hangar onboard many of the cutters and MH-65s primarily do coastal missions today. The USCG already has 40+ larger MH-60s used for longer range missions, but are in some cases too big for some ships, especially for hangars. What about a variant of the UH-72 Lakota? Smaller than the 60 and has a production line in the US. Even a European design! No, Idon't think so, it is too limited a platform overall. Importantly it is slower and has less range. I could see something like the AW169 being an option and the Airbus H160 is probably the best fit replacement but it hasn't entered service yet. I don't know if the CG wants a new platform. .
MH-65 is a beauty. Hard to replace that. No doubt Bell will give it a try. Or is the 525 too large? In the Airbus portfolio the H160 is the Dauphin replacement and it could be produced locally. But I'm not sure if a SAR version is on the agenda yet.. I do think the 525 is a bit large. The 429 (as shown in the great Netflix series “the horn”) seems like it could be a good fit, as the 412 is getting pretty darn old, and I don’t understand how that would be an equivalent size replacement to the Dolphins. The H160 is of course an option, and the USCG is the one US branch with seemingly an affinity for “foreign” designs, but I would favor a variant of the Lakota (such as the uprated 72X model discussed a few years back, but SAR-ized of course). They usually buy essentially off the shelf models, and the H160 has been in development for many years but when is it going to be in production and certified? Still, if this needs to fit on small cutter decks and be off the shelf, why throw out something as incongruous as the SB-1? Agree, there is little political conflict in the acquisition of SAR helicopters. According to Airbus, the H160 will feature SAR equipment like winches and patient stretchers but since the first one is yet to be delivered, it might take some time before all features are implemented. H160 EIS is planned for 2020, but then again this replacement would only need to start around 2024-2030. I had forgotten about Bell's 525 : how is its development going? As for the Leonardo (AgustaWestland) AW101, a great helicopter but I agree it would be too big. I think it had its chance of entering US military/paramilitary service and for various reasons, blew it! The Bell 525 would be too big. The AW169 should be a good contender, as well as the H160 which is intended to replace the AS365 in Airbus's product line. Deliveries for the H160 are supposed to start next year, with the first serial aircraft already flying. If I'm not mistaken, France intends to replace their AS365 Dauphins (among others) with the H160 around the same time frame. So it could be perfect timing for the USCG. The H160 is on the smaller side of the mentioned potential options though. So they may be wanting something just slightly larger. Even a meter of extra room probably makes a huge difference for SAR missions. I don't know how attached the Coastguard is to the ducted fenestron. It's quiet and more forgiving in tail strikes. It relatively quiet and fast, I don't know how its range compares to AW139, S76D, Bell 412, with which it probably will contend. Well, the H160 was designed from the get-go as the AW139 killer, so we shall see. I've seen 530 NM range (nominal), but also 12 pax 120 miles @ 160 kts, vs. 650-plus for the AW139. Thinking a bit further, the Boeing MH-390 is probably the frontrunner at this stage. But, as said, the fenestron might have gained popularity in coast guard service over the last 30 years. Boeing gets final assembly and prime contractor, as a label, on the USAF contract, and also supplies the DoD components, but what would be needed for the USCG bid? I don’t see why Leonardo wouldn’t just bid this one themselves. They build the rest of the world’s SAR 139’s, and there’s no reason to think the USCG would favor having Boeing as a final assembly/lead if it means more cost, that I’ve seen. Is there a history somewhere of tailstrike problems I don’t know about for the 139 making the fenstrel favored by USCG? How about a S-76? A quick search shows other coastguards use them..
My thinking is that it is basically to big without any added benefits. Range is about the same, speed also, so no benefit there. And it is bigger and heavier so is more difficult to host and fit aboard the current CG vessels. Is space really a concern onboard USCG ships? Checking all of the ships that can handle a helicopter, all the ships can either handle larger helicopters, or handle multiple MH-65's in the hangar. It doesn't take that much to modify the hangar to allow a single larger helicopter in the hangar, and I suspect the ships will all need modifications anyways even if the dimensions are about the same due to handling differences. On the cutters? Oh yes, always. For one, the Hamilton's are going out of service, so they don't matter much anymore. Second, the hangars can be modified; remember that Huntington Ingalls has proposed a variant of the Legend class cutter for the USN's FFG(X) program, and that variant does have the ability to operate a SH-60 and a pair of UAV's. The hangars can be modified to accommodate a new helicopter if needed. Yes, true and of course things can be modified, however the CG is historically and chronically underfunded and fights for every bit it has and its utilization rate is higher than any other of the US forces. So I am positive that the CG will want the best cost benefit they can possibly have. If they can get near the same size with better range, loiter, and speed that will be preferred. And the less adjustments required of systems already in place or a lower increase in costs to future systems will be important to them. One of the CG's top needs right now (and it is also critical to the nation) is a new series of ice breakers. And they can't get one funded even, the money keeps getting stripped out or under threat. And they need three of these new breakers breakers really. The CG is very aware of its budget limitations. So, yes while I am not saying they don't have many options, and can make most of the helicopters noted here work for their mission, I am thinking (just my opinion, not enforcing it on anyone else) that the CG top brass will want to get the most bang for their buck and will focus on similar size (it works for most all situations as far as I can tell) with improved capacities, speed, range, and loiter. Yes the CG really needs off the shelf, reliable, and capable copters that require minimal alterations to the cutters. Spending 10M per ship to alter the hangers, a minimum amount if structural alterations are needed, just isn't in the cards. The AW-139 or AW-169 are in similar use with a lot of other governments.